He is one of the main attractions at the Sea Circus. Little known fact: When he’s not hanging ten and juggling sea-monkeys, he is pursuing a degree in maritime law. Meet Mr. Baaaass and his back-up band, The Swam-Chops! They appear live every weeknight at the Coral Corral. We are so excited to present “The Hams in the Deep Blue Sea”, a stand alone iPad app built on the Mibblio platform. Mibblio produces musical book apps that allow children to read, listen and play along on a variety of instruments all at once. This is our third story/song published through Mibblio, but this marks the first time that one of our songs has been the focus of an individual app! We are very grateful to our friends Sammy and David over at Mibblio who have given us this opportunity. 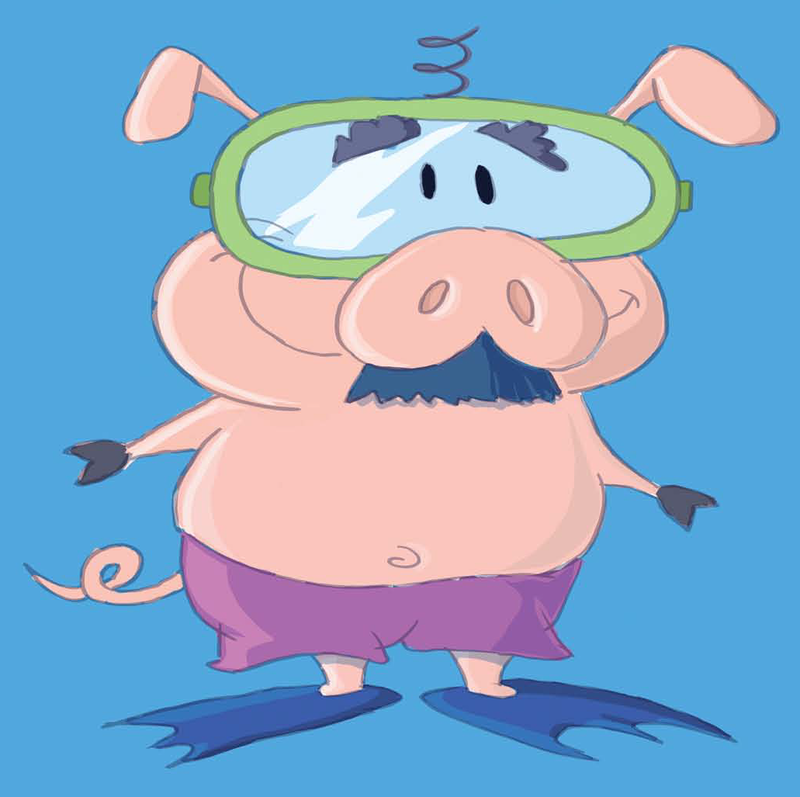 “The Hams in the Deep Blue Sea” tells the story of The Hams, a family of pigs who spend the day swimming in the ocean, meeting a variety of unusual creatures. Believe us, this is no ordinary day at the beach! We are thrilled to have worked for the third time with illustrator Larry Daley on this story. Once again he was able to translate our ideas brilliantly and bring the story to life! “The Hams in the Deep Blue Sea” is sung by New York rapper/performer MC Paul Barman. You may recognize his voice from our song “Always Bring Your Toothbrush When You Go To Outer Space”, available through the Mibblio app. We are happy to have worked with MC Paul again! 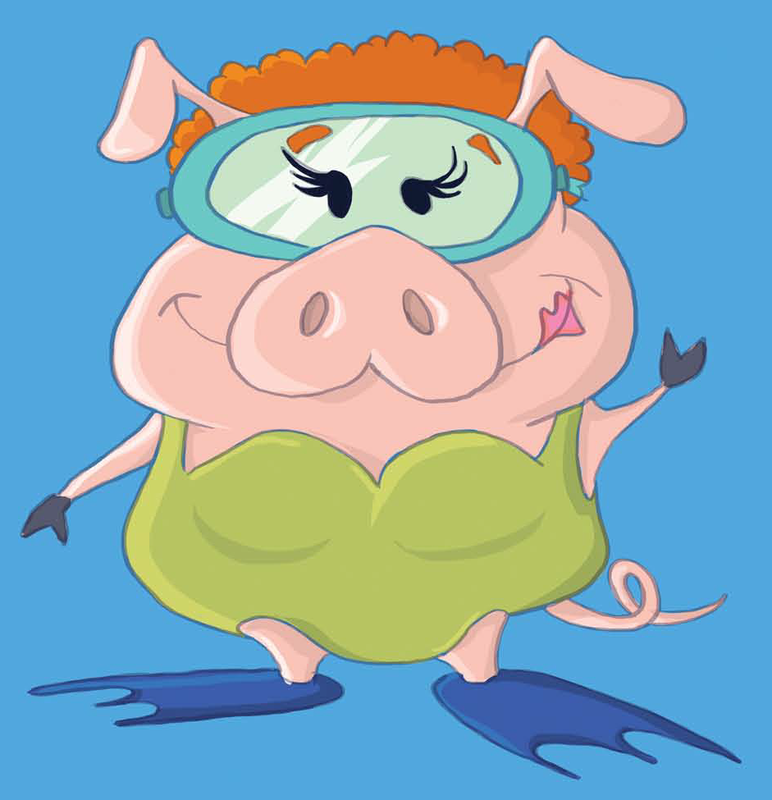 We are so excited that our first independent app “The Hams in the Deep Blue Sea” is being released Thursday!!!!!!! Here’s a sneak peak at our cool app icon designed by our wonderful illustrator Larry Daley, who drew all of the illustrations for the app. We can’t wait to share this song/story with the world!! We have a brand new app published by our friends at Mibblio coming out soon, and we wanted to give everyone a sneak peak! 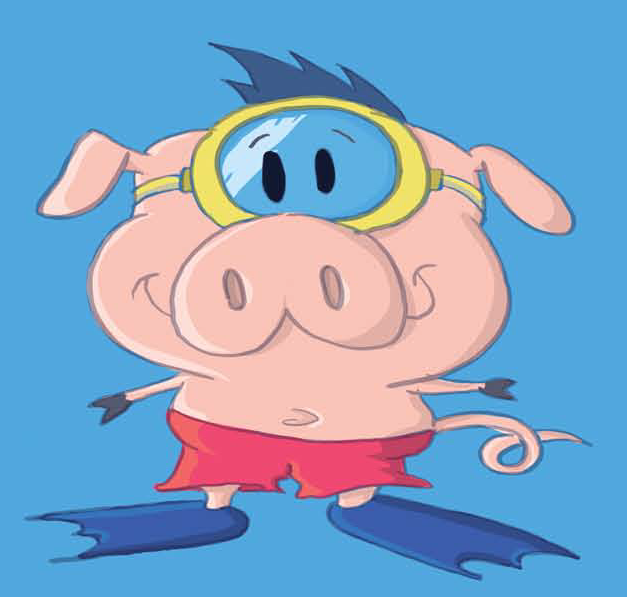 “The Hams in the Deep Blue Sea” is a new interactive app that tells the story of when a family of pigs left the farm, and went for a swim in the ocean. On their journey, they meet a whole bunch of crazy creatures and have a whole lot of fun! Kids (and adults!) will be able to interact with the music by taking instruments in and out of the song, and jamming along on a variety of instruments! Every time you listen can be completely unique! The illustrations were done by Larry Daley (he also illustrated The Mashed Potato Monster Gang and Always Bring Your Toothbrush When You Go To Outer Space). The song will be sung by MC Paul Barman (who also sang Toothbrush). Here’s a sneak peak of the Ham family (The Hamily).